1.Are you afraid of deportation? We can handle it together. Deportation takes place on the basis of an administrative decision and usually concerns persons who are staying illegally on the territory of a particular country, working without proper permits or posing a threat to the country. The more people the more cases, but you can appeal against every decision. Contact us and we will see what can be done. 2.You have been banned from entering Poland? Apatris will help you to undo this decision! The foreigner’s obligation to return includes a ban on re-entry the territory of Poland. 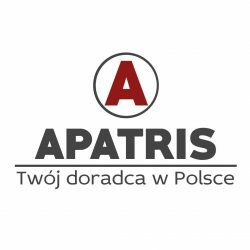 Regardless of whether you have been banned from entering the territory of Poland for a period of 3 months or 5 years, we will look at your case and choose the best solution to the problem together. 3.What to do if I lose my residence card? Within 3 days after losing the card, you should notify the Voivode about it. The same deadline applies in case of finding a card. The new card will cost you PLN 100, another PLN 150 each. 4.I applied for a Visa. Can I check the status of my case and how can I check it? The Visa application should be submitted no earlier than 3 months before the start of the planned trip. A person who has a multiple entry visa valid for at least 6 months period may apply for a new Visa before the current visa expires. However, the validity of the new Visa must start no earlier than the expiry date of the previous visa – you cannot have two Visas for the same period (for example, if the Visa is valid until August 15, the validity of the new Visa may start not earlier than August 16). 5.I am a Polish citizen. How can my wife legalize her stay in Poland? In order to legalize your wife’s stay in Poland on the basis of marriage, your marriage must be registered at the Registry Office in Poland. Then, your wife can apply for a temporary residence permit on the basis of a marriage, which is applied to the Voivodeship Office to the Department for Foreigners. The applying procedure for a temporary residence permit lasts about 2 months, but it can be extended. During the procedure of applying for a permit, polish authorities verify the validity of a marriage, i.e. if it was not concluded outside the law. For this purpose, the spouses are asked to come the Office where they answer questions about their marriage. The first temporary residence permit is issued for a period of 1 year. 6.I have a Polish card, can I get health benefits or should I get insured? If you do not work and do not study in Poland and you are not insured in the Social Insurance Institution for work or studies, you should buy private insurance in a private company or voluntarily get insurance at the National Health Fund. 7.Can I work on a tourist Visa? Employment on a tourist Visa is strictly prohibited. 8.I have applied for a temporary residence permit - can I work during the ongoing proceedings? 9.I am applying for a temporary residence and work permit (zezwolenie na pobyt czasowy i pracę) –which criteria influence the length of the permit? A temporary residence permit loses its validity with the end of a work contract concluded between a foreigner and an employer. The anticipated period of employment is also important concerning the length of the permit. The employer’s declaration regarding this period should be attached to the application for a temporary residence and work permit. 10.How can I change my temporary residence and work permit (zezwolenie na pobyt czasowy i pracę) when I find a new employer? When you change an employer, it is only possible to submit a new application for a temporary residence and work permit. 11.The employer wants to change the working conditions specified in the contract and permit for temporary residence and work. What should be done? In such a situation, it is necessary to apply for a temporary residence and work permit and attach a new contract received from the employer with the information about the change of working conditions. 12.Work in Poland, live in a civil marriage with a Polish citizen and study in post-secondary school. Can I get a temporary residence permit regarding all these circumstances? Art. 114 of the Act on foreigners states that there is no option to combine the legal purposes, when one of these is starting work, that’s why all other circumstances have no influence on getting a temporary residence permit.